I had planned to post this in January but Melbourne’s weather has been very uninspiring. Even the trees are confused with some changing colour thinking Autumn is here. Last week I had an open fire because I love them and it was cold enough to justify it. However, I have just checked the weekend’s forecast at it is looking like Summer will visit us again, at least for 2 days. Time to get your shades on…. I have always been a fan of sunglasses. For me they have more appeal than a pair of heels. They don’t cause pain, are slightly cheaper (mostly) and have a huge impact on your overall image. My first pair of memorable sunglasses were bought when I was 15. They were Vogue and had huge frames with rectangular lenses, they were awesome. Everything I looked at was framed by golden tortoise shell. Inevitably I broke them and years later tried to find a replacement to no avail. I think that’s when my love of sunglasses began. They transformed me into someone adventurous and brave; I wore them proudly because I loved them. The ‘feature’ sunglass is a huge trend this summer. 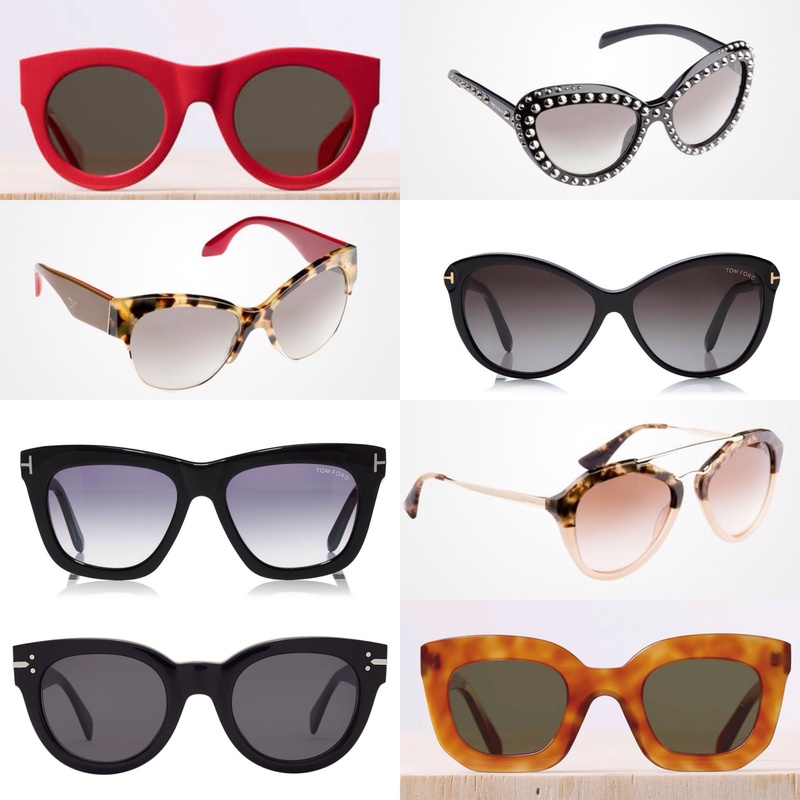 Never before have so many coloured, embellished or mirrored sunglasses been available. Above are a few of my favourites from legendary Lensers Tom Ford, Celine and Prada. Sunglasses don’t have to be expensive to look the goods. I would suggest having them properly fitted with professional advise because they can alter facial features. A good pair of a sunglasses should compliment your best features and make you want to wear them.